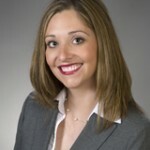 Gina O'Donnell Named as Lead Recruiter for Flexible Packaging Practice - Direct Recruiters Inc. 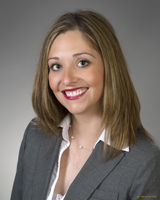 Direct Recruiters, Inc. (DRI) has appointed Gina O’Donnell as our Lead Recruiter for our Flexible Packaging Practice. She is responsible for business development opportunities as well as recruiting top talent. She will focus on senior level positions across sales, operations, technical, manufacturing, and management. Gina is an experienced search professional and formerly served as the Senior Account Manager for DRI’s Healthcare IT and Life Sciences practices. Her focus is on bringing exceptional talent together with clients. Her infectious personality, business ethics, and excellent follow-up skills enable her to build long lasting business relationships. Gina earned her Bachelor in Communications at DePauw University, Greencastle, Indiana. She enjoys being a mom, working out, live concerts, Cleveland sports teams (Go Browns! ), and spending time with friends and family. To contact Gina O’Donnell: 440-996-0586 or godonnell@directrecruiters.com.